Extend your Veeam to the Canadian Cloud, with just a few clicks. With Cloud Connet, you can instantly link your Veeam backups to Storagepipe’s Canadian datacenter, allowing you to protect your local virtualized systems in the cloud. Thanks to Storagepipe’s Cloud Connect service, you can leverage our premium Canadian storage infrastructure to protect and recover all of your VMWare and Hyper-V systems - in the cloud - through Veeam. Since 2001, Storagepipe has been a leader in cloud-based business continuity, compliance and data protection services for Canadians. Storagepipe helps simplify data protection, by offering a truly comprehensive suite of solutions for all of your IT systems – from laptops and mobile devices to servers and enterprise applications. Veeam Cloud Connect is one of the many ways that Storagepipe helps you simplify, automate and outsource critical IT maintenance tasks. Thanks to our Canadian Cloud Connect service, it’s now incredibly easy for Veeam users to take advantage of Storagepipe’s premium cloud infrastructure and extensive disaster recovery capabilities. Storagepipe’s Canadian Cloud Connect service for Veeam is a simple, cost-effective and compliant method for protecting your VMs. 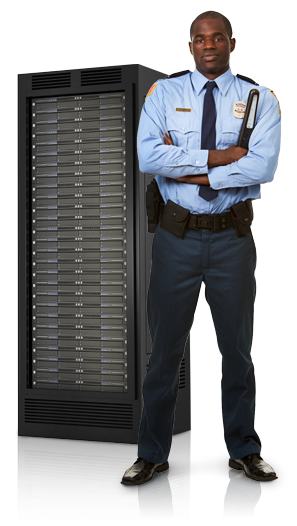 In order to ensure optimal security and compliance, Storagepipe keeps all of your data on Canadian soil, and protected by strong encryption, in state-of-the-art facilities. Datacenters Your data remains securely stored on Canadian servers, and your Veeam Cloud Connect data protection is managed by a Canadian company with over 15 years of experience. Easy Configuration In order to configure Storagepipe’s Canadian datacenter as your off-site Cloud Connect repository, simply place an order and add Storageipe as a target, using your current Veeam console. WAN Acceleration Leverage Veeam Cloud Gateway, for a convenient way to securely transfer data while also maximizing transfer speeds and minimizing bandwidth consumption. Secure Encryption Data is transmitted using 256-Bit AES encryption, over an SSL/TLS connection, to your cloud repository. From here, the data remains encrypted while at rest. Archiving & Compliance Meet compliance, internal policy and regulatory requirements, by combining Cloud Connect with Storagepipe’s long-term & WORM archiving capabilities. Devoted Support At Storagepipe, your Veeam Cloud Connect backup and disaster recovery services come with support, monitoring and maintenance, from a highly-experienced and highly-trained Canadian support team. Getting started could not be faster or easier. Simply CLICK HERE to open your Canadian Veeam Cloud Connect repository with Storagepipe.